Robert Pershing Wadlow was born, educated and buried in Alton, Illinois. His height of 8' 11.1" qualifies him as the tallest person in history, as recorded in the Guinness Book of Records. At the time of his death he weighed 490 pounds. Robert was born on February 22, 1918, and weighed a normal eight pounds, six ounces. He drew attention to himself when at six months old, he weighed 30 pounds. A year later at 18 months, he weighed 62 pounds. He continued to grow at an astounding rate, reaching six feet, two inches and 195 pounds by the time he was eight years old. His middle name, Pershing, was in honor of the World War I General Pershing, then commanding officer of the European conflict. Robert was the first born of Addie and Harold Wadlow. Later the Wadlow family grew with the addition of two sisters, Helen and Betty, and two brothers, Eugene and Harold Jr. Despite Robert's size, all of his family members (photo) were of normal height and weight. Trying to maintain a normal life, Robert enjoyed collecting stamps, photography, and become the world's tallest Boy Scout at seven feet, four inches, when he was 13 years of age. Later he became a member of DeMolay and the Masons. At age 18, he had reached eight feet, four inches tall, and weighed 390 pounds. His clothing required three times the normal amount of cloth, and his size 37 shoes cost $100.00 a pair (a lot of money back in the 1930's). Two years later his shoes were provided free by the International Shoe Company. When he turned 20 Robert traveled for the shoe company, visiting over 800 towns and 41 states. His father had to modify the family car, removing the front passenger seat so Robert could sit in the back seat and stretch out his long legs. The father and son team traveled over 300,000 miles on their goodwill tour for the shoe company. He established his place in the history books when he exceeded eight feet, four inches in 1937, surpassing the record previously held by an Irishman who died in 1877. Robert was very fond of his mother Addie (photo), and there was a quiet manner about him that earned him the title 'Gentle Giant'. As a youth, Robert had enjoyed good health, but his large feet had troubled him for many years. He had little sensation in his feet and did not feel any chafing until blisters formed. While making an appearance in Manistee, Michigan in July 1940, a fatal infection set in when such a blister formed. On July 4th, doctors had Robert confined to a hotel bed, unable to find suitable accommodations at the local hospital. Days later, after emergency surgery and blood transfusions, the infection lingered and his temperature continued to rise. At 1:30 a.m., on the 15th of July, Robert Wadlow passed away in his sleep. Robert's body was brought back to his home town of Alton for burial. The 1,000-pound casket required a dozen pallbearers, assisted by eight other men. Out of respect for Alton's Gentle Giant, all city businesses closed for the funeral. Over 40,000 people signed the guest register. Robert's gravestone simply reads "At Rest." Robert Wadlow holds a special place in Alton's history. He is remembered as a quiet young man who overcame a unique handicap, and who was an inspiration to all of those that knew him. In 1984 a citizens committee organized efforts to immortalize Robert, and in 1985 a bronze statue (photo), was erected on the campus of the Southern Illinois University School of Dental Medicine. 1918 Robert was born February 22, 1918 to Harold F. and Addie (Johnson) Wadlow on Monroe Street on Alton, Illinois, weighing 8.7 pounds. 1919 When Robert began to walk he weighed 40 lbs. 1920-1926 The family lived in Roxana, Illinois. 1923 At 5 years of age, attending kindergarten, Robert was 5' 6 1/2" tall. He wore clothes that would fit a 17 year old boy. 1928 Ten years old. Robert weighed 210 pounds and was 6' 5" tall. His shoes were size 17 1/2. 1929 Robert took his first airplane ride. Just before his 12th birthday Robert had his first checkup at Barnes Hospital (St. Louis), where the family learned of his over-active pituitary gland that caused his fantastic growth. 1929-1931 Robert sold magazines to earn money for a savings account. In 1931 the banks failed, and he lost his savings. He gave up the magazine business. 1931 At the age of 13, and a member of the Boy Scouts, he was the largest Boy Scout in the world. His weight was 270 pounds, and his height was 7' 4". It took 14 yards of 36" wide material to make his Boy Scout uniform. 1933 Robert received the largest birthday postcard ever delivered by the Alton Post Office. It measured 14" x 22". Robert attended the World's fair in Chicago. It took two turns and 20¢ to get Robert through the turnstile. 1935-1936 Robert became Advertising Manager of the Tatler - Alton High School Year Book. He graduated in the January class, 1936. 1936 In February, Robert enrolled in Shurtleff College. 1937 Robert and his father made an extensive trip west, including Hollywood and most of the western states, as a goodwill ambassador for International Shoe Company. Thereafter, the firm made his shoes free of charge. 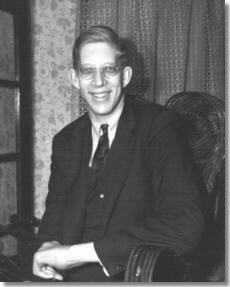 1940 Robert Wadlow died July 15, 1940. His weight was 490 pounds, his height was 8' 11.1". He was buried July 19, 1940 in Upper Alton Cemetery. Sitting in his oversize chair, with his mother at his side - 1939. All photos are B/W JPEG, and average 18k in file size. and cannot be used in any form without written permission. Please visit the Museum Gift Shop for books and video on Robert Wadlow. The Alton Museum of History and Art is located on the campus of the Southern Illinois University School of Dental Medicine, on College Avenue in Alton, Illinois. and the The Telegraph for their cooperation and assistance on this project. Photos taken by Robert Graul. Thanks to the Oprah Winfrey Show, on which the City of Alton and Robert Wadlow were recently featured (3/11), a matching shoe to the one in our museum has been located. Mr. G. Couwenhoven of Syracuse, Indiana - saw the Oprah show and remembered that they had a shoe matching the one shown on tv. The shoes were apparently a promotional display used when Robert traveled for the International Shoe Company. Separated for over 50 years, the shoes will be together again, as Mr. Couwenhoven has decided to donate the shoe to the Alton Museum of History and Art. Upon Robert's death in 1940, his family had almost all of his belongings destroyed. They did not want collectors to obtain his clothes or personal items, and be displayed as 'freak' memorabilia. We want to continue to honor their wishes, and are displaying what items we have in our museum with pride and dignity. If any of our Internet Visitors have memories, photos or other artifacts of Robert, please let us know. Use our Guest Book or e-mail us with whatever information you have. Thank you. Piasa Bird - Legendary Bird of prey of the Illini Indian tribe. Visiting the River Bend - A visitors guide to the area. Please visit the Museum Gift Shop for books and videos on Robert Wadlow. These pages are designed for Netscape, and a screen setting of 800x600.